Let’s do it in 3D. 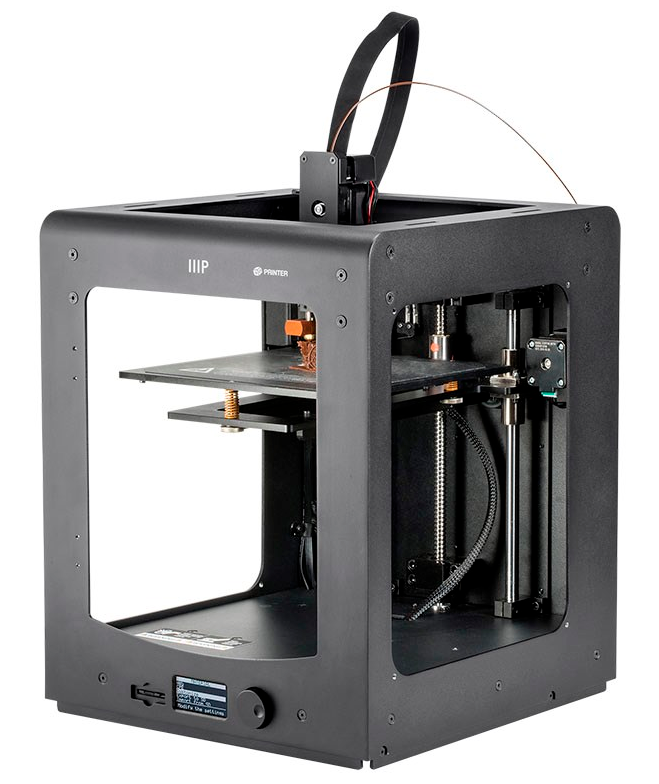 I recently ordered a Monoprice Maker Ultimate to get in to 3D printing. 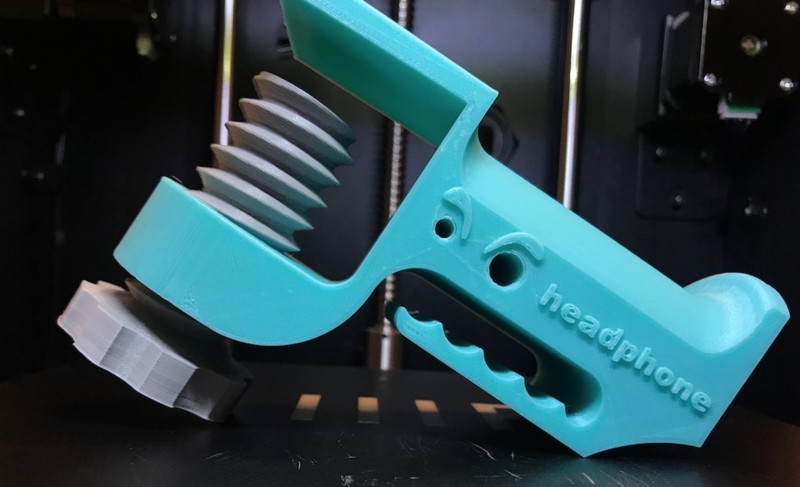 I’ve been printing every day since it arrived, tweaking my settings in Cura, adding text to objects in TinkerCAD, and printing printer upgrades like a new spool holder, and some extruder, ribbon, and filament guide clips. I’ve added sound dampers for the X and Y axis (had to print a bracket for the Y-axis motor), and plan to install quieter fans soon. I recently ordered a digital caliper and hope to design some pieces of my own. First on my list is a new grate cover for my basement drain. I also installed Octoprint on my Raspberry Pi Zero W and intend to set up remote administration as soon as my basement is finished and the printer is moved to its permanent home. You can check out some of my prints here. 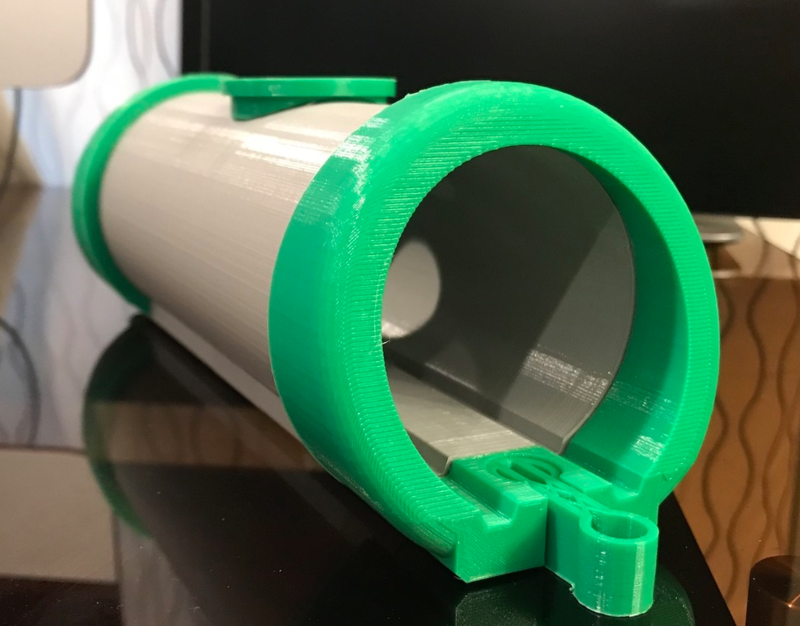 A few of my favorites are the tunnel I printed for my son’s wooden train table and the headphone holder I printed for a friend’s daughter to use on her keyboard stand. Next up is a nice birdhouse to hang in the coming spring.